30 days ago, I decided to make the plunge and set myself a challenge. Read below to find about my mental and physical transformation by hitting KOBOX for the past month. It’s hard to imagine that a couple of months ago I was stuck in a rut of not wanting to exercise and now I can’t even perceive my life without Kobox. That sounds a little intense, but I really mean it. Kobox has put the passion back into exercise. You know that feeling where every night you say to yourself “I’m going to start tomorrow, I’ll set my alarm early and go for a run”, and then tomorrow’s alarm sounds and you think: “Maybe tomorrow”. Well, that was me for a good couple of months after the London Marathon. The problem with running a marathon is that it takes a couple of weeks to recover, so I completely got out of the habit of exercising, and I was finding it hard to break that cycle. I realised that it would always start “tomorrow” unless I took drastic action and made a commitment that I couldn’t put off. So I bought a 30 day Kobox pass, and booked into my first class, that way I had no choice. I was going. 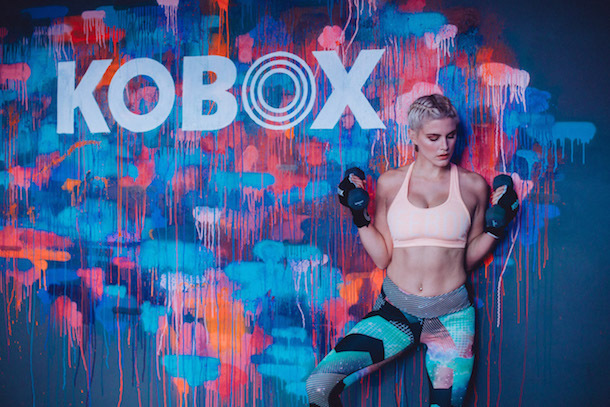 For those of you unfamiliar with Kobox, it is a class that mixes boxing with HIIT and weight training. So for half of the class you will be punching a bag, and the other half you could be doing anything from burpees to weights. There are days that focus on upper body, and days that focus on lower body so bear that in mind if you are booking a class hoping for a booty workout. What I love about Kobox is that no class is the same. Each trainer has different training methods and music tastes, and they switch up the exercises with each class. I can honestly say that in the 30 days of going to Kobox, it never got boring or monotonous. Whilst I still haven’t been to every single trainer’s class, I personally love and recommend both Jay and Stef’s classes. That said, I would definitely recommend trying as many different people as you can so you know who works best for you. There are currently two Kobox studios in London, one is in Chelsea, and the other near Liverpool Street. 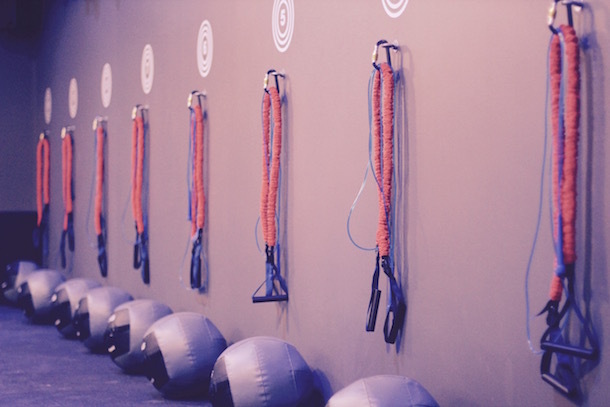 There are classes every single day from 6am, each one lasting 50 minutes, apart from the special lunchtime classes which are 30 minutes (perfect if you’re fitting it in a lunch break, or are feeling semi-lazy!). The classes can host around 40 people per class, and I’ve been to classes that are really girl-heavy, and also classes that are really mixed, so if you are a girl and you’re intimidated at the idea of boxing: don’t worry, it’s not an alpha environment. If you’re new to Kobox, don’t worry, I see new people at pretty much every class. You will go in 10 minutes early and you’re told exactly how it all works, including how to punch in the different numbers sequences. I wrote another post about Kobox here, if you are wanting more information. I originally intended to do a body transformation post to show you the difference from day 1 to day 30, but I decided against it. I personally think it’s an unhealthy way to view exercise and food. Have I seen physical results? Definitely. 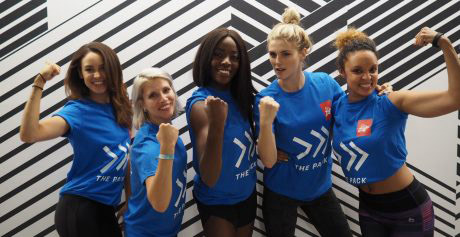 But for me the benefits of my time at Kobox are so much more than physical, and I try to see exercise as a lifestyle choice, rather than a chore to lose weight. And so my alarm went off on day 1 of my transformation, and I begrudgingly and rather resentfully got up and made the 40 minute journey to London Liverpool Street. Ten minutes into the class, aside from feeling physically sick from the effort, I felt glad to feel my body moving and proud at myself for making the commitment. That said, it took until about the fourth day before I started to welcome my early morning alarm and actually look forward to the classes (I always like to exercise first thing in the morning as it motivates me for the day). By the second week, I was even sad when work commitments took me out of the London and I had to miss a day. If you find yourself in a similar exercise rut, then I can’t recommend booking a monthly package somewhere enough. 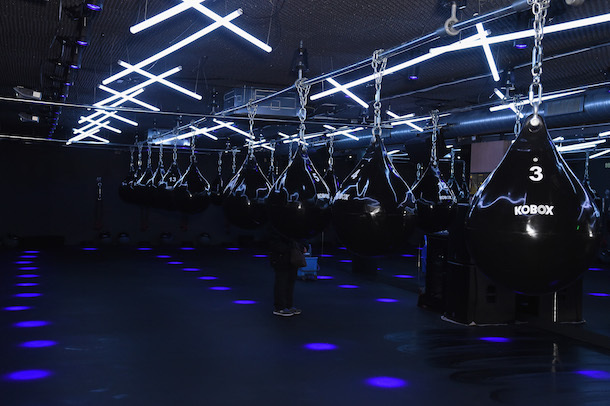 If you aren’t in London, maybe there’s other studios offering different types of workouts. 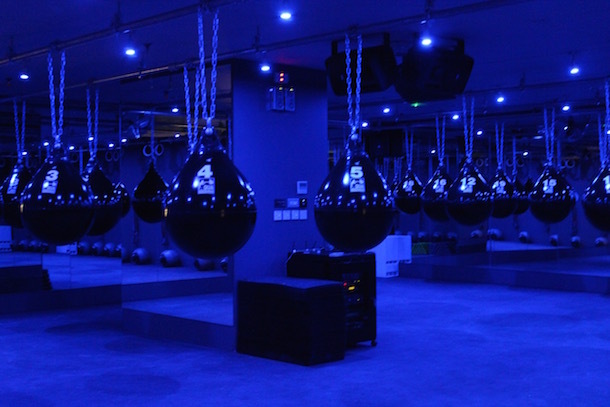 And if you find yourself in our capital city, then definitely try a Kobox class. I’d love to know if you found this post useful, and if it has inspired you to get into, or back into, exercising. If you’ve experienced a similar rut, I’d love to know what type of exercise worked for you? Let me know in the comments below.